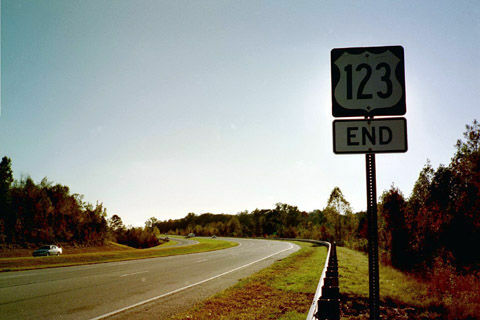 End shield at the south end of U.S. 123 at U.S. 23 near Toccoa, GA. An interchange between the two U.S. highways exists. Photo by Alex Nitzman and Andy Field. Somewhat above-angled view of where US 123 ends at US 276 in Greenville, SC. Photo by Alex Nitzman.